-	Two kidneys that produce urine. -	The left and right ureters that the urine travels through on leaving the kidneys. -	The muscular urinary bladder, which receives the urine from the ureters and temporarily stores it. -	The tube called the urethra through which urine passes from the bladder out of the body. 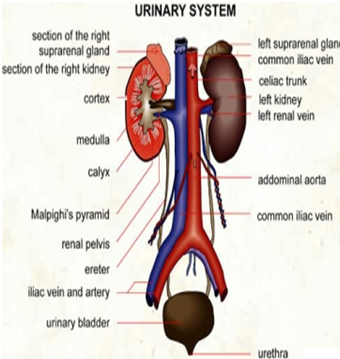 -	The working unit of the kidneys is the nephron, composed of a nephron tubule, its associated blood vessels, and the interstitial fluid in which both are immersed. Protozoa, what are the disadvantages of protozoa? what are the disadvantages of protozoa?